Molise boasts a range of landscape and cultural features that are among the most varied in Italy, offering visitors a rare example of the integration of history, art, culture and nature. Located in the central-south region, it extends between the Apennines and the Adriatic Sea and reaches the beaches of Gargano. Marina Sveva overlooks the Adriatic coastline, in the small strip of sea in the Molise region – part of the National Park of Abruzzo, Lazio and Molise. The roughly 30 km of coastline is rich in natural attractions. 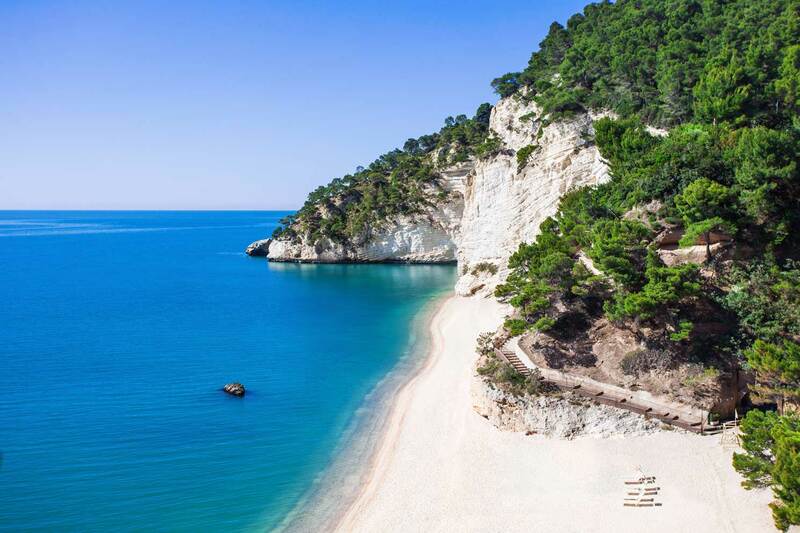 The beach of Petacciato, which stretches just south of the port, is a unique spectacle on the Adriatic coast with its amazing panoramic views: the Gargano peninsula with its jewels, Peschici and Vieste. The crystal-clear, shallow and sandy waters are a paradise for surfing, windsurfing and kitesurfing. Not to be overlooked are the Tremiti Islands, just 30 miles from the port, which are a veritable diving paradise, with 25 dive sites located between the islands of Capraia, San Nicola, San Domino and Cretaccio, finishing on Pianosa. Only two of the Tremiti Islands are inhabited – San Domino and San Nicola – and the majority of tourist facilities are concentrated on San Domino. 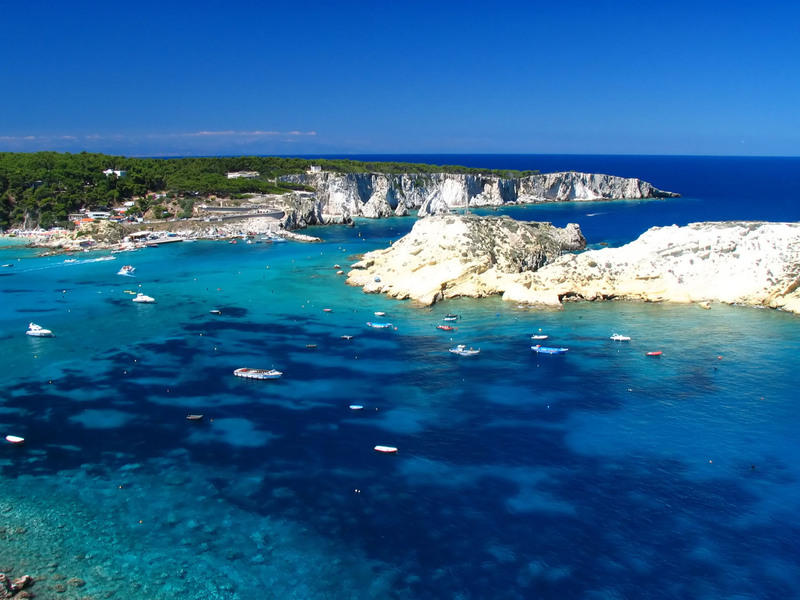 The island is also much loved by sailors and navigators for its dozens of small bays that can be reached along the coast, such as Cala dello Spido, Cala Matano and the famous Cala degli Inglesi. In Abruzzo, a stone’s throw from Marina Sveva, is the Punta Aderci nature reserve, a small oasis of peace with view upon view of incomparable beauty: a stunning panoramic sequence interspersed by “strange fishing machines like colossal spiders” known as trabocchi or trabucchi. In the midst of so much sea, the massif of Maiella appears with its park, only 100 km from Marina Sveva, where you can ski at Passo Lanciano and at Maielletta in some of the most evocative mountain scenery in the region, whose pistes allow you to admire the Adriatic Sea up to the Gargano peninsula. Thanks to the ASD Invelaconoi, active in the Marina Sveva Tourist Port, you can also attend one of the many courses offering sailing, windsurfing and standup paddleboarding (SUP), which expert combine sport and fun, leading visitors to discover the coastline of trabocchi, the Tremiti Islands and the captivating surrounding coves characterised by clear waters and unspoilt natural scenery. Molise is traditionally remembered for the supremacy of the Samnites, and in particular the Samnite Wars and the Battle of the Caudine Forks where the Roman army was defeated. This history gave rise to testimonies known to this day, which can be visited in places with carefully preserved historical artefacts under their custodianship. An example is Pietrabbondante, a small mediaeval village perched on a rocky outcrop: here, on the slopes of Monte Saraceno, around 1,000 metres above sea level, the Samnites built a majestic cult complex consisting of a theatre, a temple and two colonnaded buildings on either side of the temple. The design of the structures was intended both for rituals and for institutional activities. A few miles from Pietrabbondante is Agnone, famous in Italy and throughout Europe for its age-old Marinelli Foundry, which still operates perfectly and is fully active in the production of bells. 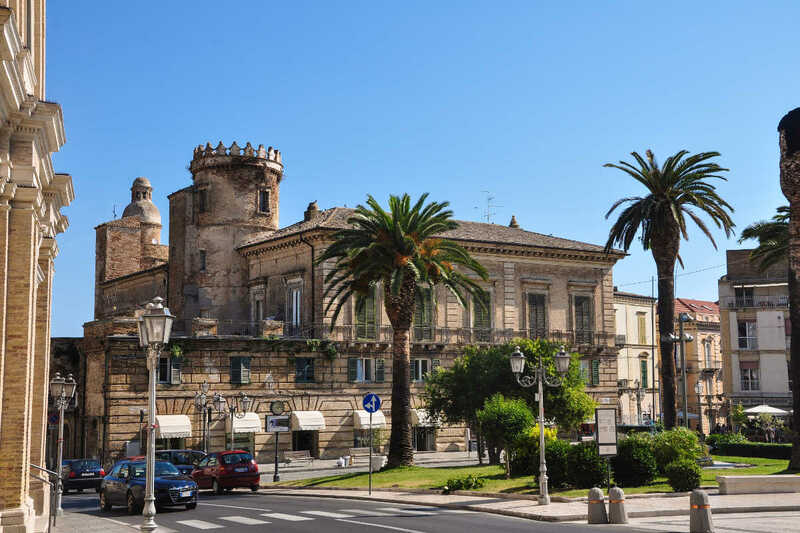 Turning towards the nearby Abruzzo, the town of Vasto is very interesting from an artistic point of view, where it is impossible to miss the exquisite remains of the Augustan villas and remnants of mediaeval settlements. Original architectural structures survive in our historical memory, such as the Castle of Caldoresco and the Towers of Bassano. Also worth a visit is the Palazzo D’Avalos, as well as the Civic Museum dating from 1849, the oldest in the Abruzzo region. In nearby Puglia, Torre Mileto is located along the coastal strip between the lakes of Lesina and Varano, a place marked by a lookout and defence tower, probably one of the largest and oldest on the Adriatic coast, as well as the closest mainland point in absolute terms to the Tremiti Islands just 11 miles away. 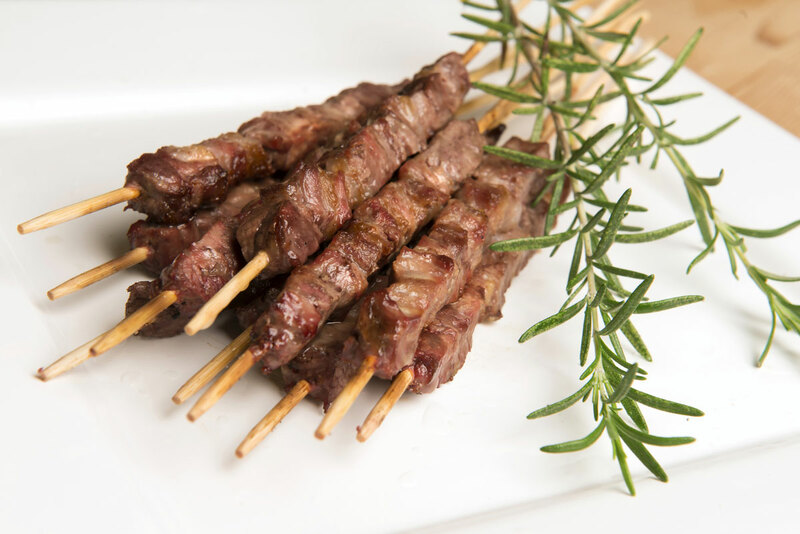 The food, wine and folk traditions are the most authentic and genuine local resources, the true identity of a simple land where food is a ritual and hospitality a pleasure. In these areas, the key activity in olden times was pastoralism. To prepare for winter, the shepherds led their flocks from the chilly mountain pastures of Abruzzo to the warmer plains of the Tavoliere delle Puglie. And then along the old tracks, like the one that branches off from Pietrabbondante, the tratturello Castel di Giudice, to reach Agnone and Capracotta, famous for their cheeses such as caciocavallo di Agnone, traditionally aged in natural caves and pecorino di Capracotta, with its intense aroma and spicy taste. There are not only dairy products but also fish, for example in the Cungarelle Restaurant at Vasto in Abruzzo, a place where fresh and healthy cuisine combines with an experience of dining suspended from a trabucco built in 1938 and converted into a restaurant. Standing out again in Molise, the region will delight the most discerning palate with exceptional fish soup in Termoli style or the classic red mullet cooked in parchment paper (triglia al cartoccio). Those are not lovers of fish can savour the excellent sausages, like the Molise salami ventricina, perhaps accompanied by a good glass of wine, Keres, labelled with the IGP mark, a white wine with a dense, warm and enveloping aroma or Tintilia, a native varietal with a beautiful ruby red colour which has received the DOC certification. Among the most interesting events taking place near Marina Sveva, special attention can be given to the event held on 24 December each year in Agnone, the ‘Ndocciata’, the largest fire ritual ever known: a parade of thousands of huge hand-made torches. Since 2000, this event has also been repeated annually on the day of the Immaculate Conception, 8 December. Then there are the festivals of fish held in Termoli in the summer that glorify the “Frittura di paranza” (fried seafood from trawler nets) and the locally caught fish, which are highly sought after. A stone’s throw from the sea, next to Montenero di Bisaccia, the Estate Montenerese (Summer in Montnero), with its rich programme of events throughout the season, which you can enjoy after a day of relaxation and fun at Acqualand in Vasto, the largest water park in Central and Southern Italy. 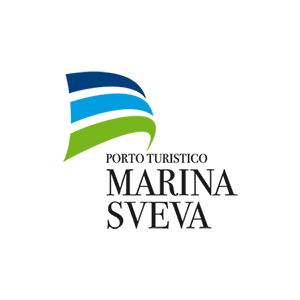 Stay up to date on all the events and Routes that you can make from Marina Sveva!